Join us at Alexandra Palace for the Mind Body Soul Experience, returning to London in October 2019. There’s no weekend quite like the Mind Body Soul Experience. From natural health to spiritual guidance, it’s an experience not to be missed. Leave your worries at the door and embark on a journey of discovery and renewal, with hundreds of experts on hand to guide you on your way. Incredible stage performances will delight and entertain, while uplifting workshops will educate and guide – there’s truly something for everyone! 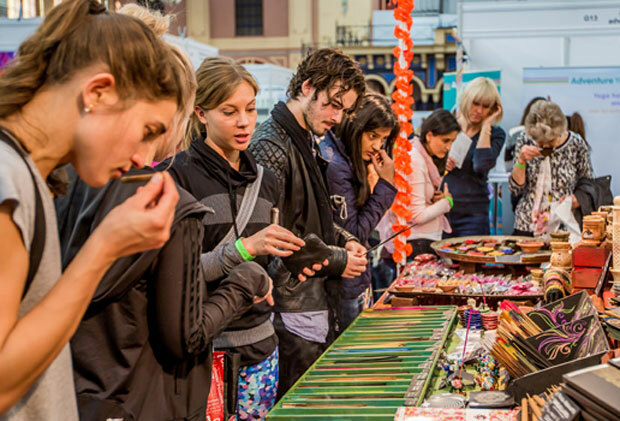 And of course, you have the chance to shop to your heart’s content; try out the latest skincare products; pick up beautiful art and jewellery, and discover the tastiest superfoods. All this, and so much more! Don’t forget that your ticket also gives you free entry into the OM Yoga Show – two shows for the price of one!